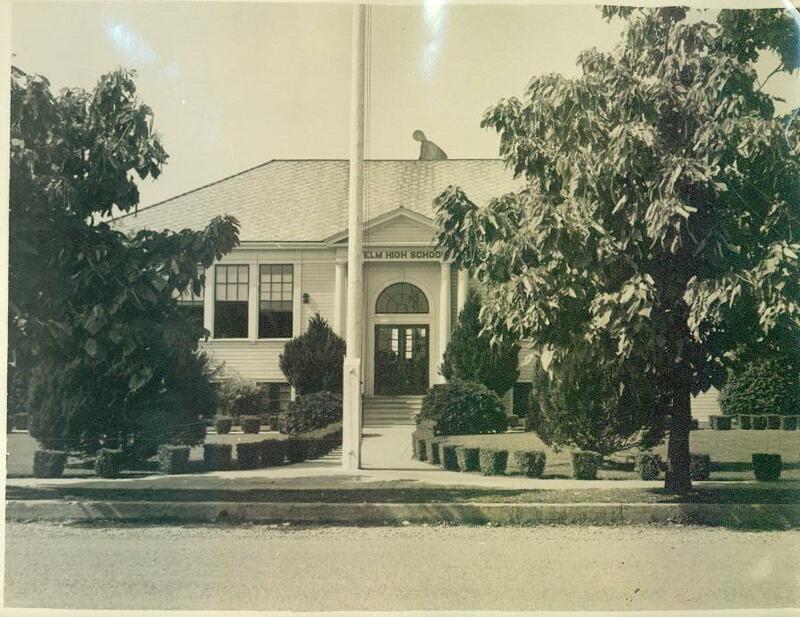 Introduction: Events in the thirties presented the Yelm School District with some unique problems. The district faced declining tax revenues as the economy sank into a depression. These were the minutes for the Yelm School District. Another set of minutes were kept for the Yelm District Union High School #204. The stock market crashed in the fall of 1929. The agricultural community had depressed through much of the twenties. Tax revenues were declining. 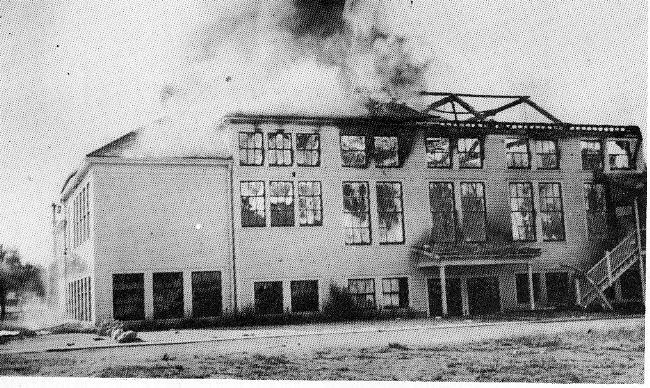 To make matters worse, the school burned down in 1932. Grade school children were housed in churches around town until a new school could be built. The rhythms of the school year, however, continued. The school maintained four bus routes in 1930. The Edwards route covered the area near Lake Lawrence. Another bus headed west to the Union Burn and picked up students from the old Lindstrom district. The third route was known as the Eureka route which picked up students south of town. The final bus picked up children on the Donaldson route. A good crowd attended the dedication program of grade schools Thursday night and the teachers’ reception that followed. Yelm teachers are in Tacoma this week attending institute. Melvin Lightle was hurt during the football game Thursday between Roy and Yelm. His cheek-bone was broken and it was necessary to take an X-ray. At their November 4, 1930 meeting the board decided to call a special election for the purpose of determining what to do with Forest School property. A special election meant that residents who showed up to the board meeting and voted on the appointed date. On February 7, 1931 the Forest School was sold to the Grange for $300. A month later the board was approached by Mrs. Eddy, Mrs. Wolf, and Mrs. Mosman to discuss placing some books from the town library in the school library for the summer. The Board responded positively to their request by providing the “the use of the vacant shelf” at the school. In doing so the district was not assuming any responsibility in regard to lost destroyed or misplaced books. If the arrangement did not work the books were to be removed in September. By the April 11th (or 6th) meeting the board had received a copy of the Olympia district’s set of rules and regulations for teachers. It too contained the “no marriage” clause, as did the new language in the Roy district’s policy for hiring. The board also passed a measure requiring teachers to live in the district. Later that summer, August 7, 1931, Kindschy was reported not been able to find a house in the district. The board unwilling to make any exceptions Kindschy was “instructed to keep looking” and report back in a week. This excluded Principal Robertson who was allowed to live outside the district and had his salary maintained at $2400 a year. In another cost cutting move the board voted to cut teacher pay by 5%. Both of the previous salary decisions were opposed by A. Justman who wanted to cut salaries of the teachers and the principal 10%. The Olympia rules contained other policy language. The teaching profession was formalizing its rights and obligations under their yearly contract. The Yelm board was particularly interested in Olympia’s policies regarding hall monitoring, playground duties, and meetings. These were all tasks performed by teachers. The board took special note of wanting to have teachers read their contracts quite carefully before they signed on the dotted line. The depression driven erosion of wages can be seen in the following information recorded in board minutes for three successive years. The dollar amounts are for a month. 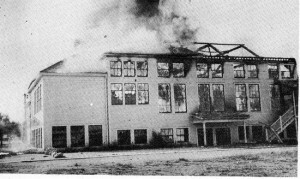 There was a mass meeting at the Masonic Temple on April 19, 1932 to discuss what to do with the insurance money the district received in compensation for the school burning down. The crowd numbered 100 concerned citizens. They were there to vote. By a vote of 93-6 the people said yes, build a new school. Any leftover money was to used to retire old bonds. At the same meeting the board voted to pay $2.88 per day for a foreman and workmen to clean up the charred remains of the old school. Men would be allowed to work for three days shifts and the foreman would be there for the duration of the project. Originally the language read “men” but was altered to “needy men.” The school would give work to those most harmed by the depression. On June 6, 1932 the board announced that it would register men on June 11, 1932 from 1-3:30 pm. In addition to “need” being a condition of employment, all of those applying had to have lived in district before the fire. The word spread through the town and prairie rapidly. On the eleventh, 230 men applied, reflecting both their civic pride and economic need. Principal Robertson helped register the job seekers. At the board meeting on April 27, 1932, a much smaller crowd than the one week earlier heard competing plans for the rebuilding job. 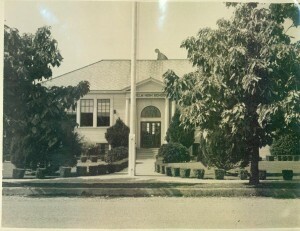 By a vote of 16-1 those present chose the $23,000 plan which called for 11 rooms, eight to be added to the existing the grade school as brick wing running along Yelm Ave. A play shed, always a wise investment in rainy Washington, was to be built on the foundation of burned down school, a furnace room on the old gym basement and a room for manual training (some type of vocational work area). The budget set aside $400 for equipping the manual training room.